Simplify the Complexity of Billing Compliance. I’ve been getting a lot of requests to do a show about coding and billing and I couldn’t think of a better guest than my friend and former colleague, Jay McVean, an expert in billing and coding compliance. McVean is currently at the University of Texas Health Science Center in Houston where he is the Director of Medical School Billing Compliance. Prior to that, McVean worked at the University of Texas at MD Anderson Cancer Center with me. 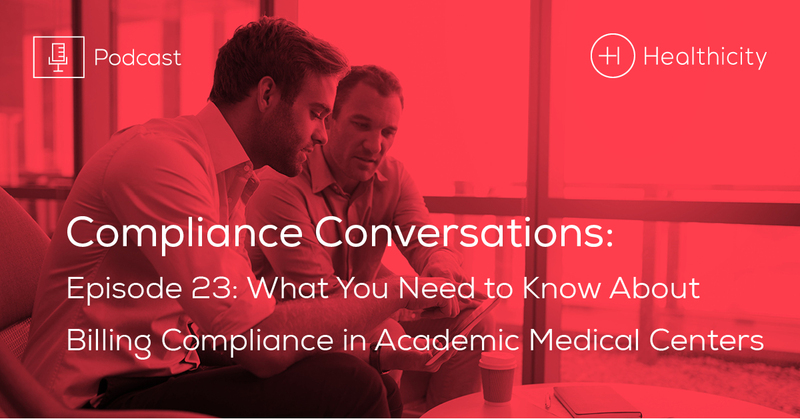 I wanted to know the biggest coding and billing compliance issues in medical school, with faculty, and academic medical centers because this is where McVean’s expertise really shines and it’s an area that doesn’t get talked about nearly enough. From there, we talked about physician pressures and productivity and how it plays into billing and coding compliance. Interested in being a guest on the show? Email CJ directly here.